Nuclear order in the 20th century was based on three crucial and interdependent pillars: first, the possession of nuclear weapons by major powers; second, the construction of a bilateral, plurilateral and multilateral architecture to, on the one hand, manage relations between major powers and, on the other, to preserve the order by preventing the wider proliferation of nuclear weapons beyond them; third, the establishment of informal regimes to buttress the formal institutional structures. This carefully crafted nuclear order has come under growing strain from both within and without and has led to nuclear disorder in the 21st century. 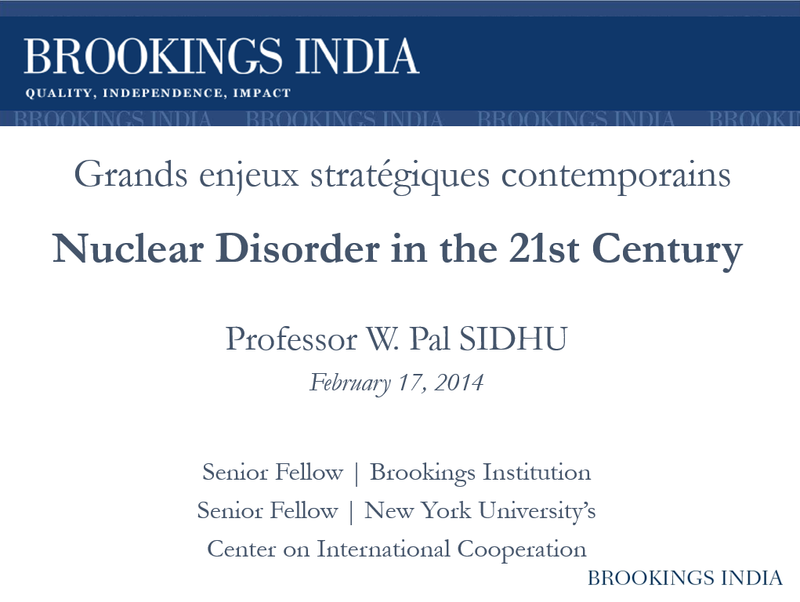 What are the principal factors behind the present nuclear disorder and can it be redressed? This lecture seeks to address these questions. Asia – stretching from the east of Suez to the Pacific Ocean – is the locale of six states with nuclear weapon (China, DPRK, India, Israel, Pakistan, and Russia) and a state with potential nuclear weapon capabilities and, possibly, intentions (Iran). Asia is also the venue of the fastest qualitative and quantitative proliferation of nuclear weapons. It is also the region with the least institutional arrangements to manage relations between nuclear-armed states. These developments have a direct impact on not only strategic stability in the region but also on strategic stability at the global level. How exactly will the proliferation challenges in Asia threaten regional and global strategic stability and what can be done to address them? This lecture will explore these questions. India – the world’s largest liberal democracy and rising power – has undergone three strategic shifts in the 21st century. First, it has moved from being a traditional military power to a nuclear-armed and growing economic powerhouse with development as its central focus. Second, it has transformed from a regional power to a global player with stakes in every existing and emerging global institution. Third, India has also shifted from its traditional policy of non-alignment to a more pragmatic policy of multi-alignment. Along with this India has also articulated the outlines of a radically new Panchsheel policy. 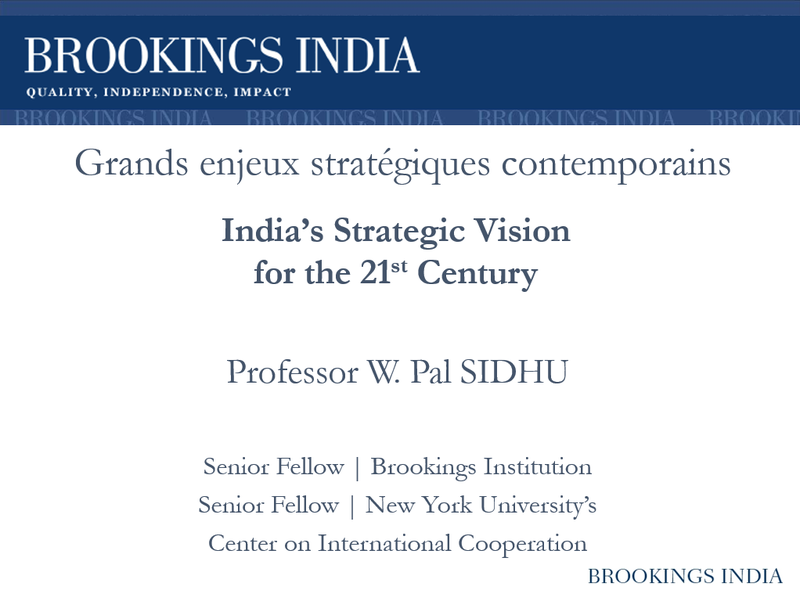 What are the primary drivers behind India’s strategic vision for the 21st century and how does New Delhi plan to manifest this vision? 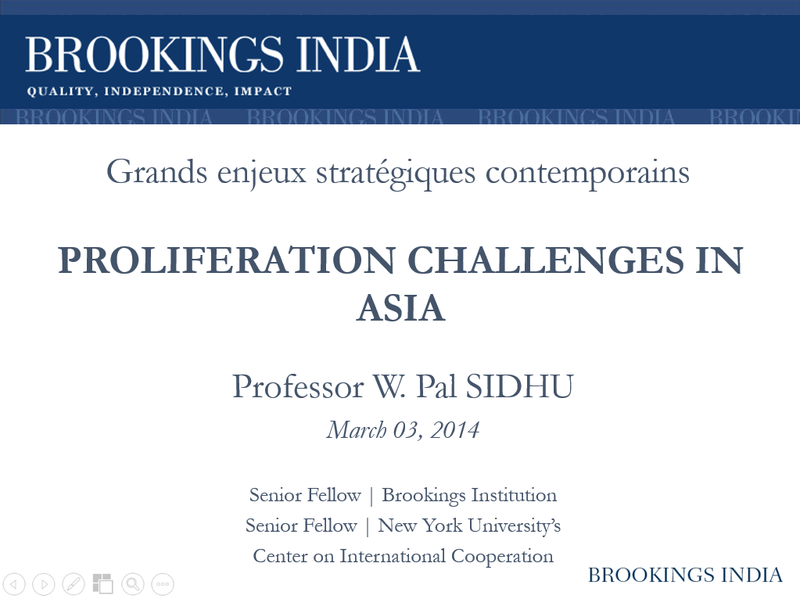 What impact will India’s strategic vision have on regional and global strategic stability?